Megan Miranda is a new to me author. She has written a few young adult novels, but All the Missing Girls is her first book written for adults. I was drawn to this title as it reminded me of Chevy Stevens. All the Missing Girls was as thrilling and consuming as any Stevens' novel, but Miranda has her own unique writing style. I didn't think it was as dark as some of Stevens' books, but it is no less engaging. Actually, the storytelling style of All the Missing Girls was a unique one for me. We are all probably familar with the technique of presenting the "current" situation and then going back to the beginning, you know something like "3 days before". I'm an NCIS fan and that show often uses this technique. However. Miranda turns this technique around and actually tells the whole story backwards. We have the main character Nicolette driving to North Carolina to help put her father's house on the market, but then we are transported two weeks to "Day 15". One the day Nicolette arrives in town a girl goes missing. Ten years before, one of Nicolette's best friends disappeared. The mystery of both disappearances is unraveled step by step as we move one day closer to "Day 1" with each chapter. It took a bit of getting used to this storytelling technique. I had to keep reminding myself why people were introducing themselves for the first time when there was interaction with them in the chapter before. It really didn't suit my random few minutes reading here and there type of schedule. It was much better when I could read large chunks of it at a time. If you like to try to solve the mystery before the story is over, I think the reverse storytelling will keep you a bit off kilter. It was difficult to put all the pieces together while keeping the time line straight. I knew Nicolette knew more about Corrine's disappearance from 10 years ago, but there were so many secrets that it made the web of deceit tough to fully decipher what happened until it was revealed in the end. The ending left me uneasy. I'm not sure how I thought it would end, or even how I wanted it to end. After the truth was revealed to the us readers, I wondered if the truth would fully be discovered by the characters. In the end, I had a knot in my stomach, which I wonder if that wasn't Miranda's goal. 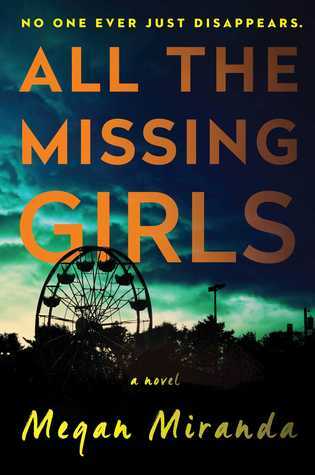 All the Missing Girls is a book that takes focus, and it will be one you won't want to put down. I read it as part of my 'sleep & read' staycation and it made a great read. Get even more book news in your inbox by signing up for our newsletter: http://eepurl.com/mHTVL. A free galley was provided by Netgalley for this review. Girl Who Reads is an Amazon advertising affiliate; a small commission is earned when purchases are made at Amazon using any Amazon links on this site. Thank you for supporting Girl Who Reads. I've seen a lot of praise for this one. It's interesting that she told the story backwards and still keep the anticipation and guesswork going. I kind of like those books that leave me pondering and with a knot in my stomach. There are so many secrets and lies that really helped to keep the reader invested. 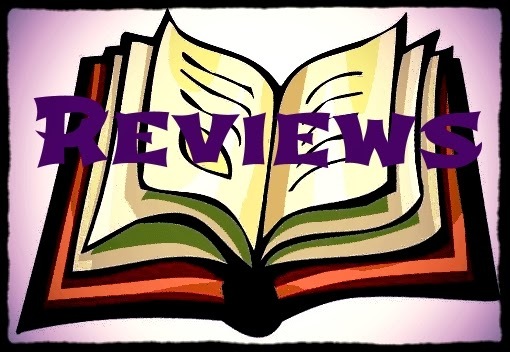 Want to Join the Girl Who Reads Review Team?